It is essential that you read, understand and accept the following conditions before signing the Booking Form for the Urdd Gobaith Cymru activity (Urdd). Once the Booking Form has been signed and the payment has been paid, the booking is secure. If payment is not received with the Booking Form, we cannot secure your child/s space on the activity, and reserve the right to offer the space out. If you wish to eliminate your booking you have to inform us in writing (post or e-mail). The elimination comes to force on the day we receive your message, and if received prior to the closing date of the specified activity, payment will be refunded in full. Any refund after the closing date of the specified activitity will be at the discretion of Urdd Gobaith Cymru. Small Changes: Due to the nature of the activities, from time to time it is required of us to make small changes. We reserve the right to do so. We endeavour to inform you of these as soon as possible. Significant Changes: Significant changes includes curtailing the length/location of the activity. When we have to make a significant change before the start date of the activity, you will be informed as soon as possible. A proposal will be given to you: i) accept the reformed arrangements; ii) cancel the activity and accept a full refund. If we have to make a significant change once the he activity has started, cancelling is impossible if we can offer other appropriate arrangements. 4. MINIMUM NUMBERS: We reserve the right to cancel/postpone an activity. If that happens, we will endeavour to give at least a fortnight’s notice in writing before the start date of the activity. We will arrange a full refund in these circumstances. 5. FORCE MAJOURE : It is not enforced on us to refund if we have to cancel or change any aspect of the activity due to circumstances that are beyond our control, where we, nor our suppliers, could not reasonably foresee or prevent them. Such circumstances include but are not limited to war or a threat of war; terrorist activity; riots or civil unrest; industrial disputes; natural or nuclear disasters; fire; bad weather; airport, port or station closures; cancelling or changing air, land or sea carrier timetables. 6. HEALTH: Health Certificates are sent to you as well as further information. The form must be completed and returned to the relevant officer beforehand. Everyone has to declare any recent serious injuries or diseases. 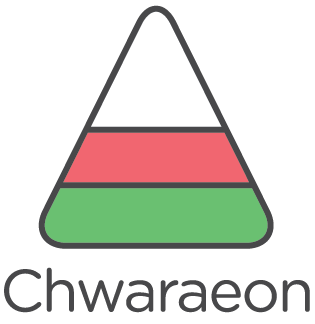 We cannot accept any responsibility for any illness or worsening condition that was suffered during or after the activity if the injuries or disease was not revealed beforehand.No-one who has contracted an infectious disease can participate in Urdd Gobaith Cymru activities within the usual quarantine period. When participating in an activity, everyone has to co-operate with our safety and discipline rules. No responsibility is accepted for your safety if you deliberately break these rules. A possible consequence of this kind of behaviour is that you are sent home (see Behaviour below). Every specific query that involves health and safety must be referred to the relevant Director. 7. BEHAVIOUR: It is a requirement of the booker when booking to fully reveal to Urdd Gobaith Cymru any disease, disability, social or behavioural problem that the member has or that has recently appeared that can affect the member or other members during the activity. They also have to confirm it in writing. We reserve the right to prevent any member before or after the start of the activity from particpating if we haven’t received the full information according to the Officer’s opinion or if their behaviour is incompatible compared to other members. If this occurs, the booker is responsible for any extra costs incurred or any requests by a third party. We will not be liable for any compensation. 8. LEAFLET: Any prices, declarations, descriptions, images, photographs, pictures or any other issues in any literature have been produced as a good will gesture. But there is no guarantee that they are accurate. The aim is to create a general picture to represent our goods and services. They do not form any part of the agreement between us. We reserve the right to reform our goods and services from time to time so that the descriptions that are set in our leaflet or other literature is in keeping with what was set in the proposal to you. 9. COMPLAINTS: We will endeavour to solve problems as soon as we are informed of them. If you wish to complain during the activity, please contact the relevant officer. If the problem cannot be resolved in a satisfactory way, contact the director by letter within 28 days of the end of the activity by setting out the full details in the complaint. We will acknowledge receipt of your letter within 24 hours and respond within 7 days of receiving your letter. 10. PARENTS / GUARDIAN CONSENT: If there is a member under 18 in our activity when booking, a parent or guardian has to sign Health Certificates by noting that they have read, understood and accepted the Terms and Condition and have consented for the young person to attend and participate in the activity. 11. ACCOUNTABILITY: Accountability is accepted over issues that arise as a direct consequence of neglect and/or break an agreement of our contractual duty to ensure care when making arrangements including any actions by our employees or agencies. In the context of air, sea or rail carriers and the accommodation provision, our accountability in every case will be limited in line with relevant international conventions. Transport with a certain carrier will come under the transport terms of that carrier that will limit or renounce accountability. Operational decisions will be taken by air carriers and airports / ports / railways that mean delays, diversions or rearrangements. We have no control over such decisions, therefore we cannot take any responsibility for them.